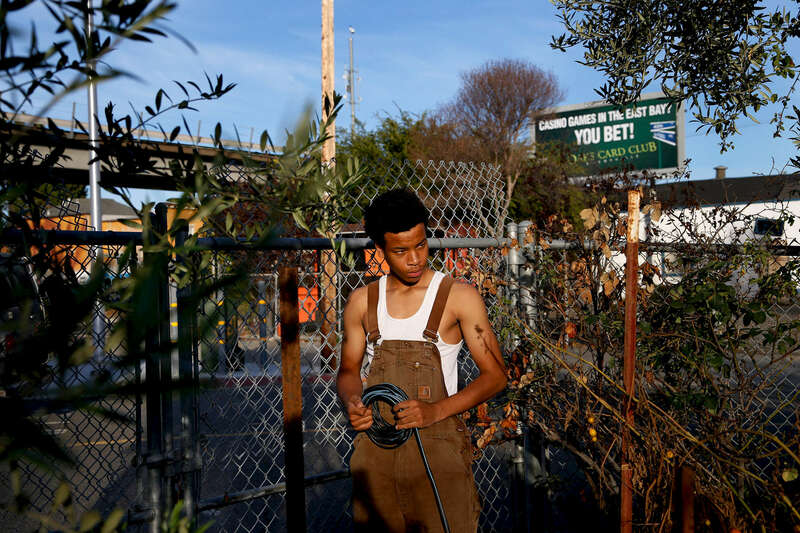 Ketwan Raynor, 16, works at the WOW Produce Farm in West Oakland, California, on Wednesday, October 20, 2016. High-school students apply for a three-month internship and gain skills as well as a paycheck. West Oakland Woods (WOW) Farms formed to help fill an employment need while taking advantage of the changing area’s restaurant boom. WOW operates both a produce and a flower farm that supplies high end restaurants while training and employing local high school students in need. For examples of short films and video work, go here. All images copyright Preston Gannaway or Preston Gannaway/The Virginian-Pilot or Rocky Mountain News or Concord Monitor. Any use or reproduction without photographer's permission is strictly prohibited.